Any defense could be broken. It is more important to discover attack in time and take a sufficient measures to isolate it and minimize the damage and possible loss. 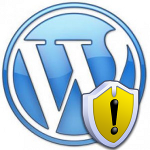 Let’s help our loving blogging platform WordPress team to overcome this little security crises. This entry was posted on Wednesday, June 22nd, 2011 at 09:21	and is filed under General, Security, WordPress. You can follow any responses to this entry through the RSS 2.0 feed. You can skip to the end and leave a response. Pinging is currently not allowed.